Your dog’s quirks only make you love them more, but sometimes their behavior is downright strange. When it comes time for dinner, many dogs express themselves in mysterious ways. Understanding why dogs do what they do isn’t exactly science, but there is something to say about putting yourself in their paws. If you start thinking like a dog, you might be able to figure out exactly why your pup insists on a particular behavior at meal time. Here are a few examples of odd eating habits and what they could mean. Most dogs can’t wait to dip their snouts into a big bowl of kibble. If your pup is cowering or showing other signs of being afraid at dinner time, it’s most likely not the food that’s causing the problem. Certain kinds of dog dishes can put nervous dogs on edge. Metal dog dishes are the biggest culprits. Canine behaviorists suggest there could be a few reasons why dogs act fearful around metal dishes. For one, the metallic noise of their collar and tags hitting the dish could cause them discomfort. They might also see their reflection in the metal and get spooked. For some dogs, anything new—regardless of what its made of—will freak them out. 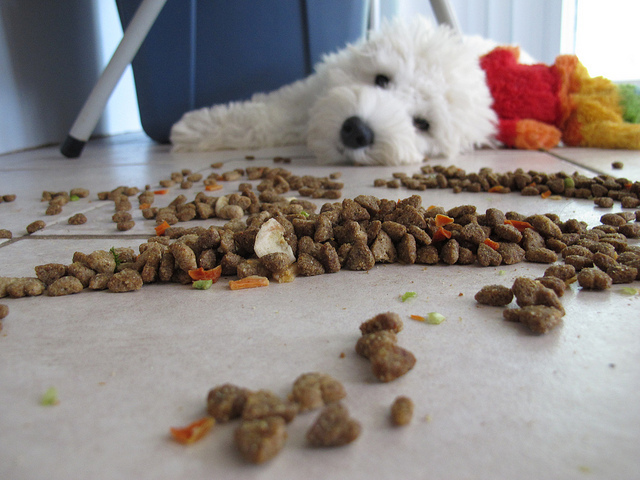 Try alternative ways to serve your pooch’s dinner to see if that helps. There are some dogs that are picky eaters, and then there are dogs that are less picky about what they eat and more concerned with how they eat. Watching a dog transfer food from his dish to the floor before deciding to take a bite is amusing, but it’s also confusing. Not to mention it leaves slobber streaks on freshly cleaned floors. This behavior could be another issue with the bowl. If the dog doesn’t like the noise the bowl makes when he touches it, he’ll do everything he can to avoid it. It might also have an unpleasant smell, like soap. If it isn’t any of those things, your dog might not like how the bowl moves while he eats. He could prefer the floor because he knows it’s not going anywhere. You set the bowl down in its designated area, but by the time your dog is finished eating, he’s all the way across the room. This odd eating behavior is particularly fun to watch. And unlike many of your dog’s other habits, this one might not have a hidden message. Enthusiastic eaters sometimes move with their food as their excited chomping slides the dish across the floor. High-energy dogs that don’t like sitting still often do this. It also seems to happen more often with dogs that eat wet food. The food gets stuck to the sides of the bowl and requires more forceful licking. You’re not surprised when you find your pup gnawing on a shoe or doing his best to eat his way through a pillow, but eating dirt isn’t exactly normal. It doesn’t taste good, and it can be dangerous if they eat too much. The most likely reason why dogs eat dirt is to make up for a nutritional imbalance. Certain kinds of soils are rich in zinc, iron, magnesium and potassium—nutrients dogs (and humans) need to stay healthy. 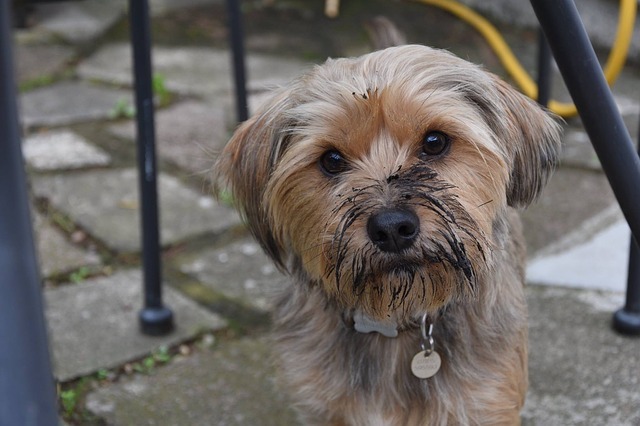 If your dog decides to start munching on dirt in the garden, it may be their body’s way of making up for missing nutrients. Consult with your vet about how to appropriately supplement or change your dog’s diet. There are some dogs who inhale their meals within seconds. Labs are especially good at this trick, but other dogs prefer to take their time. 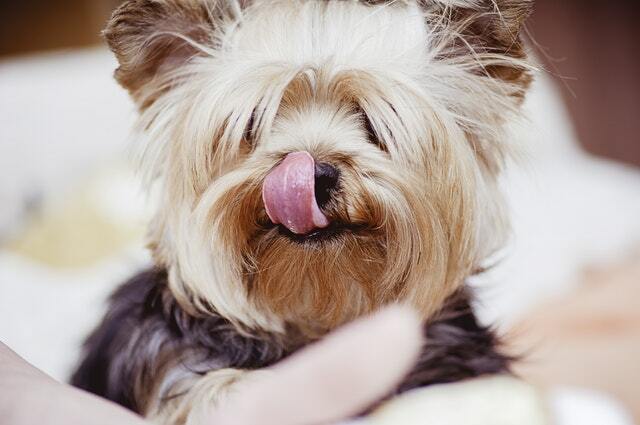 If your dog takes several minutes, or even hours, to eat their meals, it might not be a bad thing. It might be because they’re perfectly comfortable in their environment and confident their food will still be there when they want it. There’s no risk of someone stealing it while they aren’t looking. Confidence could be one explanation, but there’s also the chance slow eating could be the result of a hidden health issue. They could have an upset stomach or a troublesome tooth that makes eating difficult. Consult your veterinarian if you’re worried, especially if this is a new behavior.